A graduate counselor is ready to answer your questions about this program. Email or call David Marts at 312-369-7942 today. To succeed as a media composer, you need to be ready for the next big change in the industry. Columbia College Chicago’s two-year Music Composition for the Screen Master of Fine Arts program is designed to give you the connections and hands-on experience you need to develop your own voice, launch your career, and innovate in the industry. The MFA composition program covers composing for all genres of film, TV, video games, and augmented and virtual reality (AR/VR). 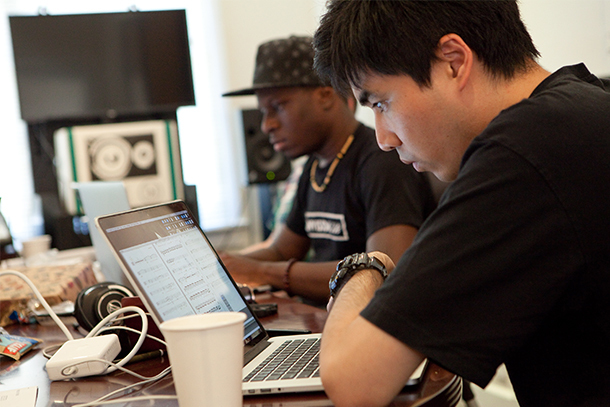 Beyond the art of dramatic scoring, you’ll master rapidly developing technical industry standards in media music production and gain hands-on experience with everything from programming cutting-edge digital instruments to conducting professional live musicians. You’ll learn how to adapt your music to different contexts in courses on the unique processes of film, TV, and interactive media. Our faculty of working professionals and our visiting composers-in-residence mentor you by providing practical feedback and candid advice. The program culminates in a five-week capstone in Los Angeles. You’ll intern with a composer whom, with the guidance of the program director, you’ll choose based on your interests and aspirations. You’ll also lead a recording session of your thesis project with a full live orchestra in a professional studio. 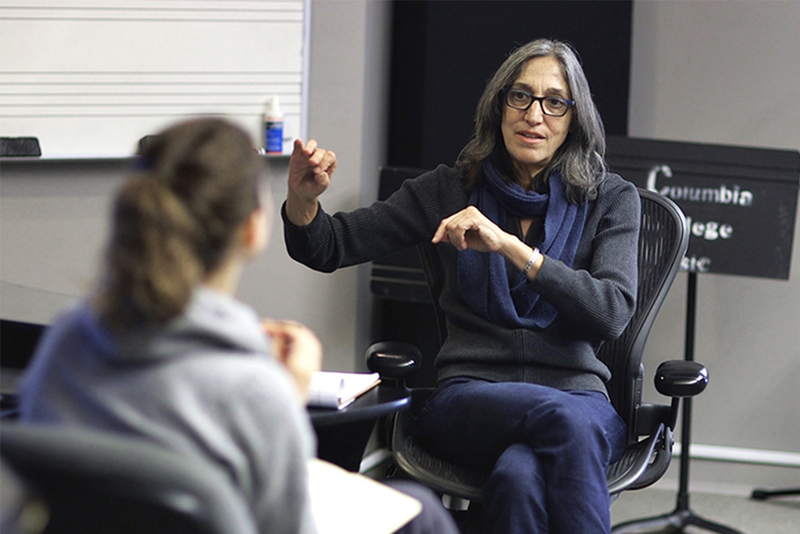 Professional composers at the height of their careers come to Columbia to workshop with students for seven weeks at a time. You work with these composers-in-residence to rescore one of their original projects from start to finish. Think of this as a flight simulator: The composers recreate real challenges they faced on the project, teaching you how to anticipate problems and adjust to them. It’s a safe space for you to make mistakes and learn from them without risking your career. You’ll see how a project comes to fruition in the real world. Recent composers-in-residence include Joe Kraemer (Mission Impossible: Rogue Nation), Heather McIntosh (Z for Zachariah), and Gerard Marino (God of War). 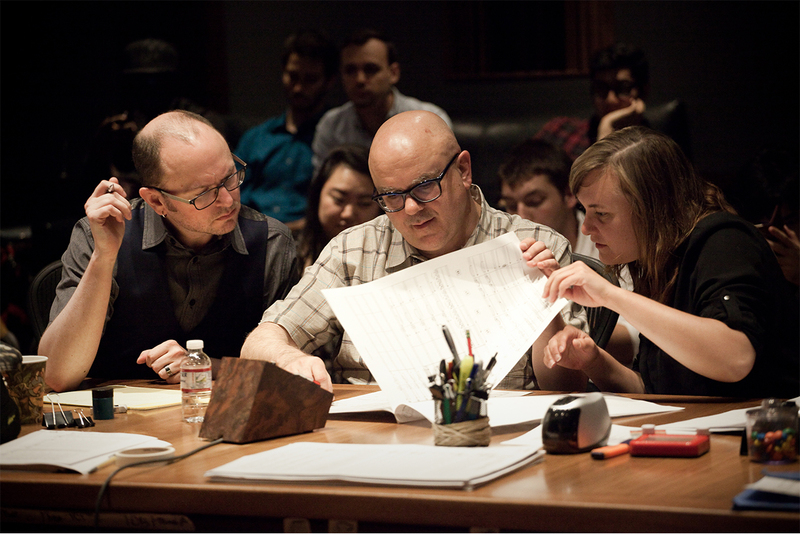 Learn more about the Composers-in-Residence program. Columbia’s program is unique because it is structured around scoring full-length projects. Instead of working on a few isolated scenes, you will deal with entire feature films, TV shows, video games, and other full-length visual media projects. These projects allow you to practice scoring as it is done in the real world, learn how music evolves to tell a complete story, and see the full context of a score. Professional preparation is an important aspect of the Music Composition for the Screen MFA program. The program’s capstone is a five-week term in Los Angeles. You’ll work with the program director to identify and secure an internship with an LA-based composer suited to your interests and goals. You’ll also participate in daily career development workshops with visiting professionals and tour the studios of leading composers. By the time you graduate, you will have developed a body of work and a professional network that will help propel you into the industry with confidence. You’ll take advantage of Columbia’s interdisciplinary environment and find collaborators in Chicago’s world-class music scene. Columbia is home to one of America's largest film and TV departments, which has produced a number of Oscar, Emmy, and Spirit Award winners. Through collaborations facilitated by our MFA program, you’ll have many opportunities to score student films and make lasting professional partnerships with emerging filmmakers. Columbia MFA composers also regularly collaborate with future video game designers in our Interactive Arts and Media Department. You’ll graduate with a strong portfolio of professional recordings. 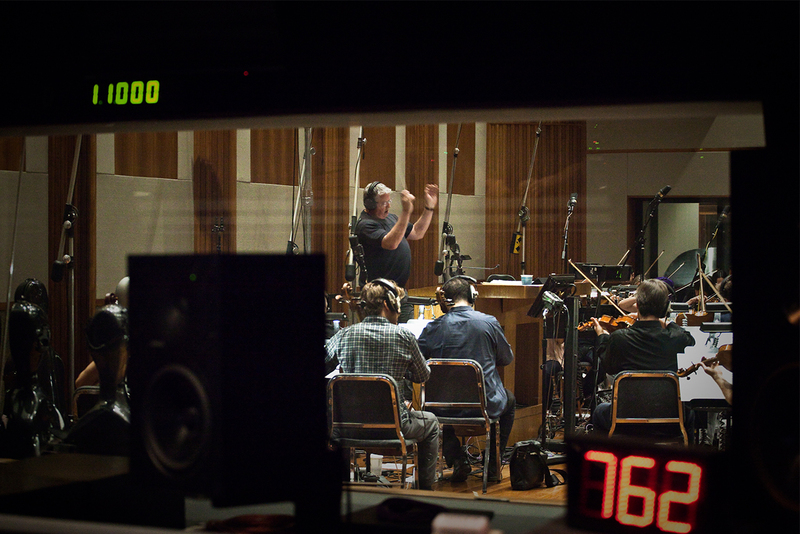 Several recording sessions in Chicago studios with professional musicians will prepare you for your thesis project, a recording session with a full live orchestra in LA, where you will record an original orchestral score. Listen to samples of recent work by our alumni. Most MFA composition alumni work in the field of music for media, primarily in Hollywood. Established alumni are the backbone of the program’s success, helping today’s graduates and students make connections in the field. Recent alumni have worked on films from Warner Brothers and Universal; TV series on Syfy, ABC, and TBS; PBS documentaries; and best-selling video games. Tyler Durham MFA ’17 is assistant composer to James Newton Howard (Red Sparrow, The Hunger Games). 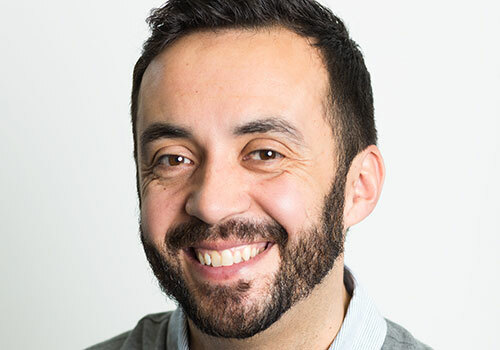 Jason Deran MFA ’17 is assistant composer to Marcelo Zarvos (Fences, The Affair). Batu Sener MFA ’14 is assistant to Oscar-nominated composer John Powell and has “additional music by” credit on the animated feature Ferdinand. Jordan Lewis MFA ’14 scored the hip-hop documentary G-Funk that premiered at South by Southwest 2017. As part of his work with seven-time ASCAP Award-winning TV composer Didier Lean Rachou, he has “additional music by” credits on several TV shows, including The Greeks. Jesi Nelson MFA ’15 is assistant to TV composer Michael Kramer and has “additional music by” credit on Lego Star Wars: The Freemaker Adventures, which received a 2017 Daytime Emmy nomination for best score. The program maintains close relationships with a number of working professionals who provide ongoing feedback on the program curriculum and its alignment with the always-changing landscape of visual media composition. Advisory Council members are: Harry Gregson-Williams, Miriam Cutler, Blake Neely, Heather McIntosh, Garry Schyman, Germaine Franco, Nathan Wang, Theodore Shapiro, Joel Douek, Peter Golub, Jeff Rona, and alumni DeAndre Allen-Toole ’17, Jesi Nelson ’15, Jim Lordeman ’13, Allison Cantor ’11, and Andrew Edwards ‘09.